The annual HYPE Impact Awards recognizes Houston young professionals and entrepreneurs for their contributions to our community. 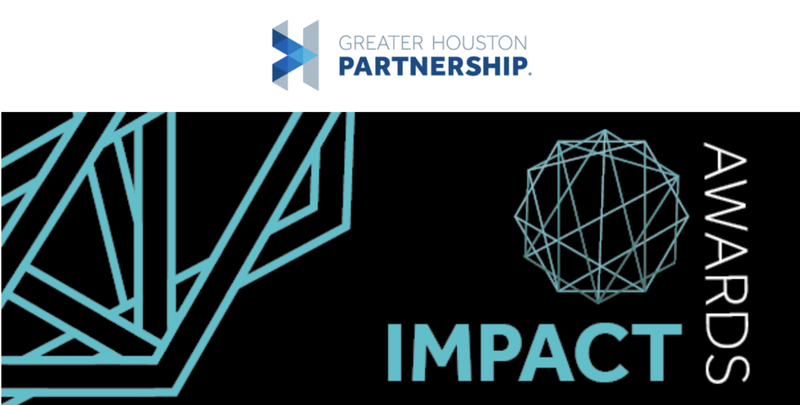 The Greater Houston Partnership, through its Houston Young Professionals & Entrepreneurs (HYPE) program, is pleased to announce that the HYPE Impact Awards will be on Thursday, November 8, 2018. Join us to recognize and reward young professionals and entrepreneurs for their contributions to our community. The HYPE Impact Awards are presented to outstanding young leaders who strive for excellence and have achieved innovative, business-savvy and ground-breaking ideas. Houston businessman, talent manager and record label owner Mathew Knowles will provide the keynote address for this year's event. Micah Guynes, i45 Signs, Inc. This is my obligatory post talking about how excited I am to join The Home Depot, especially their UX Department. I’m joining as Senior Manager of UX, leading a team of UX Designers and Researchers to improve the shopping experience for Home Depot customers. I’m looking forward from leading from the best and inspiring the UX team to continue pushing the limits of what’s possible to give our users the best experience possible. If you're interested in hearing new podcasts, below is a list of some of my favorite episodes. I first got connected to @FitnessInTheLoop last year when attending local Houston yoga events. When I first graduated Yoga Teacher Training, I was nervous to teach classes. I've had such wonderful teachers in my life, and was comparing my teaching to theirs. I decided to teach free classes in the park to build my confidence teaching before auditioning to teach in a studio. I was hoping for at least 5 people to show up for my first yoga class in the park, but would have been happy for more. Kyle from @FitnessInTheLoop reached out and asked if they could help promote my free class, since they are all about free fitness events inside the loop. I agreed and they were able to bring more people to the park to practice yoga. I've been partnering with @FitnessInTheLoop for the last 4 months and have taught classes for them at Spring Street Beer & Wine Garden as well as HTX Sports Creek. Both times have been incredible experiences that help people try yoga for the first time in a very casual setting. I'm highlighting @FitnessInTheLoop because their organization helps Houston live healthy lives without having to pay lots of money. Cofounder/Husband, Kyle (@SpaceCityVegan) is also a Cornell Certified Plant Based Nutrition Coach and cofounder/wife, Megan (@AccellLifestyle) founded a company revolutionizing athletic apparel through sweatproof/stink proof scientific technologies. She also won Houston's LiftOff Business Competition. Here are some of @FitnessInTheLoop's signature events*. *Check their website for more up to date information! Where else for Free Fitness Events? @FitnessInTheLoop is great at promoting events that aren't only their signature events, but all free community events in Houston. Follow their instagram to find more events. If you know of any, or have suggestions for more, let me know in the comments! Let's face it, everybody knows somebody that can make you a website. From your weird neighbor down the street to blaring TV commercials, it's now easier than ever to get your website up and running. WRONG. With so many options, it's hard to even begin. This guide is meant to guide you through everything you need to know to get a website up and running in 2018. What is the reason you are building your website? Is it to gain social media followers, sell products, get people into your shop, or something else? Defining your goal will make everything else much easier. WordPress.org — this is made primarily for bloggers. You have lots of content, plan to post often, and don't plan to sell very many goods. This is great for people trying to increase their social media presence as well. SquareSpace — this option is great for small businesses that need to share content. You don't have as much fresh content as a blog, but do need to share some crucial information with potential or current customers. You can sell some products on here, but not looking to open a full Ecommerce store. Shopify: this is THE only option for people looking to create a store with more than 20 products. If you have less, you can get away with other CMS options. If you're looking to grow your store over the next year, I highly recommend starting with Shopify. Content is one of the most difficult and time consuming parts of creating a website. I recommend opening a blank Word document, and allow your content to pour out. Make a bullet list of the pages you want on your website (Home, About, Services, Contact) and then type up text for each page and section. If you need to include case studies, type those in this document as well. If you have photos already, you can move these to the folder for quicker access when building the website. Based on the bullet list you created, start building pages by added content and photos. Don't forget to proof read your content after hitting save. The best part of creating a website is sharing it with the community. Get feedback, make updates to your website, and keep growing it. The more practice you have with your website, the better it will be. If, at any point, you get a headache, frustrated, can't finish reading this article, send me a message! I am happy to help you from wherever you leave off. The new year is always filled with resolutions: eat better, exercise more, complain less, and be a better person. But, what are you doing to improve your digital self? After all, your online profile is likely where any potential employer or even suitor (Hello, @Bumble) will find you and that will be their first impression. From an Incognito (private) browser winder, Google yourself. Find your Facebook page, Twitter page, Instagram, or any other social media profile you have out in the wild. Take inventory about what people see whenever they search your name. Look at the public information you are giving on Facebook and your social media websites. Maybe there is a photo of you from college that you no longer want people to see, or maybe you're still in a relationship even though you meant to click single! Whatever is wrong, take a couple minutes to update it. Use Unroll.me to unsubscribe from unwanted email newsletters. You sign up for plenty of things with your email address throughout the year, and chances are, your email address has also been shared a few times. Take a couple minutes to unsubscribe from all of the news letters you no longer need to read. Update all of your passwords. You've probably been using the same password for the last couple of years, and it probably wasn't safe then and is definitely not safe right now. Take some time to update your password for key accounts, and then consider investing in 1Password.com. Passwords aren't going anywhere in 2018, so might as well make it easier on yourself. Clean our unwanted apps. This is probably easiest and perhaps most fun to do. Open your phone and go screen by screen looking at the apps you've downloaded. If there's some app you have that you didn't use in 2017, chances are you can live without it in 2018. Not only will removing the apps give you less information while looking at your phone, it'll also save some battery power. What else are you doing to ensure your digital presence is set up for success in 2018? Let me know in the comments below. UP Art Studio and Gibson Hall are proud winners of the Mayor's Keep Houston Beautiful Award. 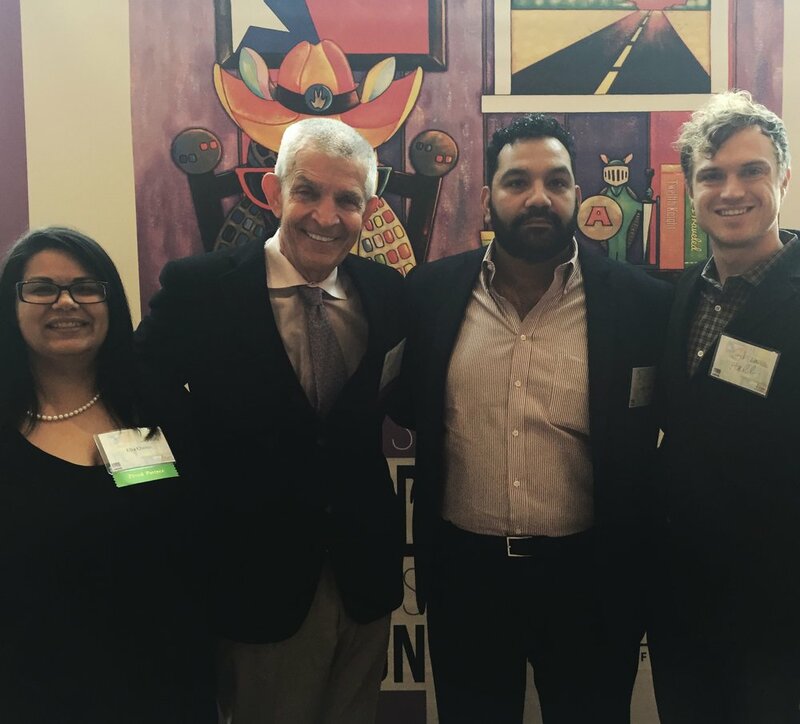 We won for our work with Mini Murals, and bringing color and light throughout the city of Houston. Mattress Mack also won an award for all of his help with Hurricane Harvey. It's cool to have 2 of my favorite web clients both win such great awards for the city. Make sure your account is set to Public. It's hard to get new followers if you're not allowing people to preview the content you offer. Make really good content. Great content will help you win organically. Pay attention to picture quality and don't overuse filters. Write great stories and captions. Tell viewers why you posted the photo or what the photo means to you. A really compelling story will get your more likes, comments, and shares. Use relevant hashtags. I know they may seem annoying to put on lots of hashtags, but now that people can follow hashtags, it's important for you to use them. Interact with other influencers by commenting on their posts or tagging them in yours. They'll eventually reciprocate the favor and you'll get a lot of followers in return. Use a strong call to action on your posts such as "like this if you agree" or "double tap to show your support". Sometimes a simple message goes a long ways. These are just a few ways you can build more followers on Instagram. Are there any practices you've been trying that give you good results? Share them with me in the comments.